Casey Riordan Millard’s sculpture “Shark Girl” has returned to a new spot at Canalside after some conservation work. Shark Girl is back from vacation ahead of schedule, and she's looking good. The popular sculpture, which was removed earlier this month to undergo minor conservation work after a rough winter, returned Tuesday afternoon to its new location at Canalside near one of the newly constructed bridges beside the historic Commercial Slip. Shark Girl sits in her new spot at Canalside. 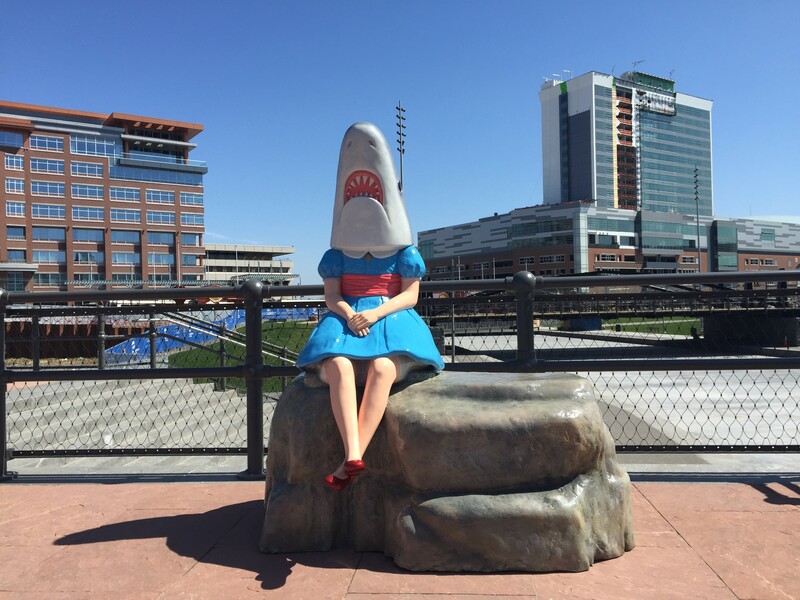 "I am really excited about Shark Girl's new location at Canalside, where her legions of adoring fans can visit her all year long," said Albright-Knox public art curator Aaron Ott. "Let the selfies continue!"